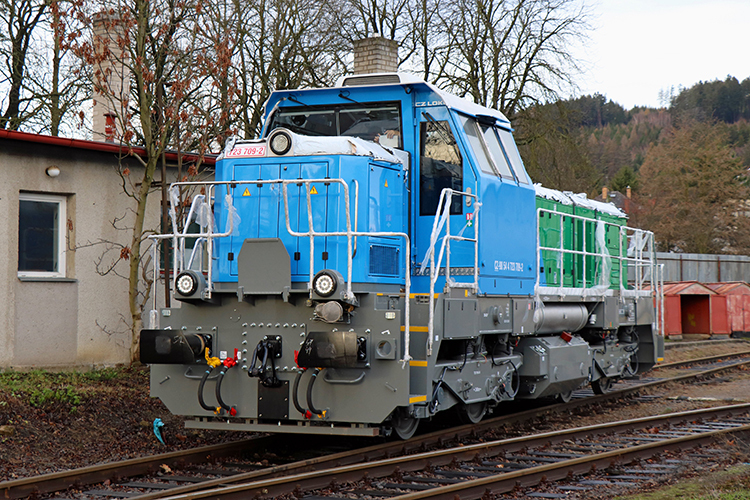 CZ LOKO has out-shopped the EffiShunter 600 locomotive officially ordered by ČEPRO, a.s. in April 2018. The deal involved the modernization of oldie 740.891, which was tendered for in late-2017 and subsequently won by CZ LOKO in March 2018. Originally, CEPRO ordered an EffiShunter 700 locomotive with a CAT C27 diesel engine on board instead of the less powerful EffiShunter 500 that houses a C18 engine. Meanwhile, the CZ LOKO product portfolio has shifted, replacing the 500 and 700 by an EffiShunter 600, which houses a Stage IIIb C18 engine delivering 563kW. The CEPRO loco is marketed as an EffiShunter 600, but still has a C27 engine. As a result, it is a little different to the standard EffiShunter 600.